118 pages | 2 B/W Illus. School evaluation is often linked to issues of accountability, performance assessment, regulation and inspection, where the work of teachers and/or the functioning of the school becomes the subject of critique. 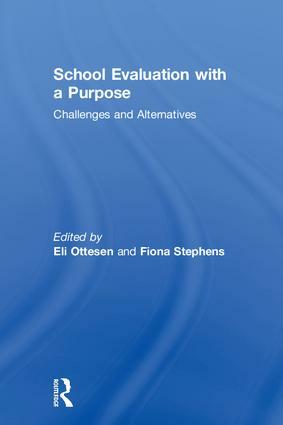 School Evaluation with a Purpose explores the latest thinking surrounding external and self-evaluation in schools. Examining teacher professionalism, reflective practice and what really matters in education, it considers the key challenges around current evaluative practice and puts forward alternative methods of evaluation, placing reflective practice and teacher professionalism at its heart. Exploring the stories of evaluation and the practice of resilient schools and school leaders in five European contexts, the book aims to support and promote the agency of teachers, school leaders and students. This book will be of particular interest to school leaders internationally, researchers, master's students of Education and Education Leadership, and policymakers responsible for law enforcement in the field of school inspection. Eli Ottesen is Professor in Educational Sciences in the Department of Teacher Education and School Research, University of Oslo, Norway. Fiona Stephens is Senior Lecturer in Education at Canterbury Christ Church University, UK.